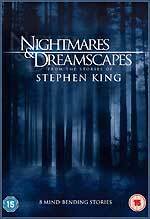 Warner Home Video will release the Stephen King anthology series Nightmares & Dreamscapes on DVD on April the 16th. The set features eight stories, spread over three discs: Battle Ground, Crouch End, Umney's Last Case, The End of the Whole Mess, The Road Virus Heads North, The Fifth Quarter, Autopsy Room Four and You Know They've Got a Hell of a Band. The set features a long list of bonus features: The Inside Look: Battleground & Crouch End; Battleground Special Effects; Eion Bailey of Crouch End; William H Macy of Umney’s Last Case; From The Mind Of Stephen King; Ron Livingston of The End Of The Whole Mess; Tom Berenger of The Road Virus Heads North & The End Of The Whole Mess; The Inside Look: The Road Virus Heads North; Jeremy Sisto of The Fifth Quarter; The Inside Look: Umney’s Last Stand & The End Of The Whole Mess; Overview: Behind The Drama Of Nightmares & Dreamscapes; Page To Picture; Richard Thomas Of Autopsy Room Four; Steven Weber of You Know They’ve Got A Hell Of A Band; The Inside Look: Autopsy Room Four & You Know. No technical details were announced. Warner Music Video will release the recent adaptation of The Wind In The Willows, which was shown by the BBC over Christmas. 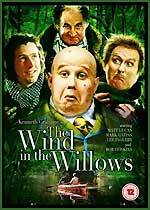 The live-action adaptation of Kenneth Grahame's 1908 novel featured Matt Lucas as Toad, Bob Hoskins as Badger and Mark Gatiss as Rat. The disc will also feature a twenty-five minute documentary, and a photo' gallery. No technical specifications were announced. The RRP is £17.99. Some etailers are also listing a deluxe version that comes with a copy of the novel. The film is offered in 1.85:1 anamorphic widescreen format, with a choice of Dolby Digital 2.0 or 5.1 audio tracks (at 192kbps and 448kbps). The film is in Spanish, with optional English subtitles. Disc one also features a commentary track, from director Guillermo del Toro, and trailers for Cronos and The Devil's Backbone. The disc's lovely menu screens can be seen here. The disc's Incoming record has been updated with details of some of the etailer exclusive versions. More information about Metrodome's Clawed - The Legend of The Sasquatch DVD, which is due for release on March the 5th, is now available. 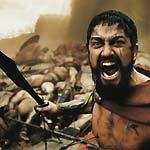 The film is presented in non-anamorphic 1.75:1 format, with Dolby Digital 2.0 audio (at 192kbps). I suspect that the Metrodome's version is not the unrated version released on disc in the US. The disc contains a Making of... featurette (8m), and five minute's worth of deleted scenes that weren't mentioned in the press release. There's also a trailer, and some text Sasquatch Facts. Metrodome will release a two-disc set featuring Darren Aronofsky's harrowing Requiem For A Dream and the Hubert Selby Jr documentary It/ll Be Better Tomorrow [sic] on April the 2nd. Both discs have bonus features. 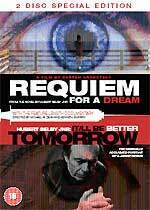 Requiem has a director's commentary; deleted scenes with commentary; Tappy Tippon’s Life Story; Making of Requiem For A Dream; Memories, Dreams And Addictions (Interview with Ellen Burstyn); Anatomy Of A Scene; a trailer, and TV Spots. It/ll Be Better Tomorrow features audio interviews with Hubert Selby Jr (his last ever interview), Uli Edel and Michael Silverblatt. The RRP is £12.99. The set's Incoming record is here. 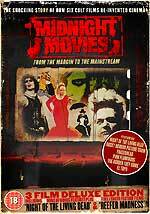 Metrodome will release Stuart Samuels' documentary Midnight Movies - From The Margin To The Mainstream as a two-disc DVD set, on April the 16th. It's the story of six cult films (Night of the Living Dead, Pink Flamingos, Eraserhead, El Topo, The Harder They Come and The Rocky Horror Picture Show), showing how they built loyal following with late-night screenings. The documentary, which was shown on TV over Christmas, will be supplemented by a commentary track; Meet The Creators of The Midnight Movies (eighty minutes of additional interviews with the filmmakers); Midnight Movies e-book; stills gallery; a trailer reel; and two full-length feature films: Night of the Living Dead and Reefer Madness. 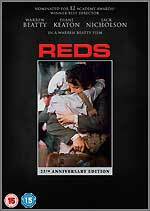 Paramount will release a two-disc Special Collector's Edition of Warren Beatty's epic 1981 drama Reds on DVD on April the 2nd. It's the first time the film's been available on DVD in the UK. The three hour film, which was nominated for twelve Academy Awards, is supplemented by a documentary, Witness To Reds, created by Laurent Bouzereau. It features new interviews with Beatty, Jack Nicholson, cinematographer Vittorio Storaro and composer Pierre Degeyter. Assuming it's identical to the US DVD (and Blu-ray and HD DVD), Witness To Reds is just over an hour long, and is broken down into seven parts: The Rising, The Comrades, Testimonials, The March, Revolution part 1, Revolution part 2 and Propaganda. The film will be presented in "16:9 anamorphic" format, with Dolby Digital 5.1 audio. The RRP is £19.99. The BFI IMAX's After Dark season continues in March, with Déjà vu on March the 1st, and The Last King of Scotland every night from the 2nd to the 8th. The three Lord of the Rings films return to the IMAX screen in March. Due to public demand, the films will now be shown on consecutive evenings for two weeks in a row, during the week, with all three films in the trilogy showing during an all-nighter on Saturday the 17th. All films will be shown courtesy of Entertainment Films in their original theatrical 35mm versions (NB. not IMAX or IMAX DMR); the image will fill approximately one third of the giant screen. During the all-night event teas and coffees will be provided FREE, with snacks, sweets, soft drinks and alcohol for sale. Fans dressing in costume could win a prize and everyone has a chance to win, with a free draw for DVDs and books to kick off the evening. Separate to the After Dark programme, the BFI IMAX will be one of the host venues for Optronica 2007 (14 - 18 March), part of the PlayStation season, in which the BFI once again joins forces with audiovisual artists and producers Addictive TV and new-media curators Cinefeel, to present a series of music and film events. The BFI IMAX will host the world premières of new shows from ground-breaking artists such as graphic designer and musician Trevor Jackson, Fred Deakin of Lemon Jelly and design group Airside, and a special collaboration between Austrian electronic music pioneer Christian Fennesz and renowned New York video artist Charles Atlas.